House of Lafayette - House of Lafayette's beige Almond hat is crafted with a contrasting black brim for a contemporary look. 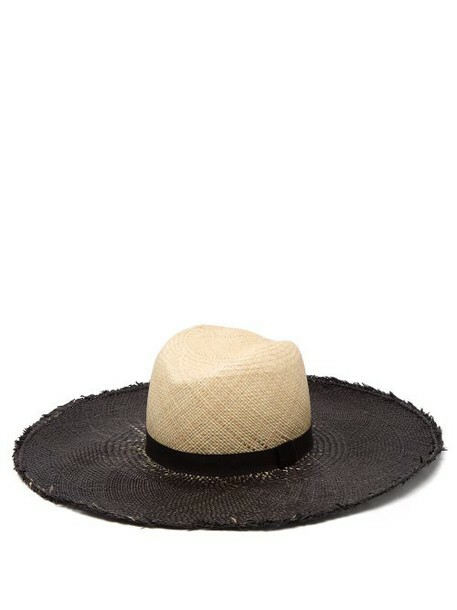 It's made in New York from straw with a moulded crown and frayed edges, then finished with a black grosgrain trim and the label's signature leaf embellishment. Wear it with a blouse and high-rise shorts for a sophisticated beach-side dinner.